Today’s web designers continue to push the boundaries of website design, using new technologies to create more engaging and interactive user experiences. According to Bop Design, a San Diego web design agency, one of the best tools for creating these kinds of interactive user experiences is parallax design. If you’re looking for a new and interesting way to engage website visitors, a parallax website design offers a trendy option. 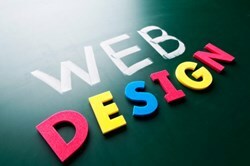 Today’s web designers continue to push the boundaries of website design, using new technologies to create more engaging and interactive user experiences. As reported by Luke Clum on http://www.imediaconnection.com, a growing number of designers are adding interactivity to their websites by creating transitions that get triggered as the user scrolls down the page. According to Bop Design, a San Diego web design agency, one of the best tools for creating these kinds of interactive user experiences is parallax web design. One of the primary benefits of parallax design is that it allows a website to walk visitors through a story just by scrolling down the page. This approach works especially well with visitors who don’t like to click on a lot of links or browse numerous pages to get the content they seek. On the other hand, parallax design has a number of potential drawbacks, especially with SEO. A parallax site is basically a one-page site, and the single-page design makes it difficult to optimize the site for a wide variety of search terms. A one-page design also limits companies to only one set of meta data for the site. Which means there’s only one way for customers to find the company’s site on the web. With multiple-page sites, people can find it through all the different pages. SEO experts generally recommend using only one H1 (header) tag per page, and having only one page limits the amount of H1 keywords on a parallax site. Technically, a company could cram them all into the one header. But it wouldn’t make sense to readers, and the search engines would suspect something was up. Another downside is that Google doesn’t like huge pages because they take forever to load. And neither do today’s “I want it now” web browsers. If a parallax page takes too long to load, people will click off and go elsewhere. Analytics can also present a problem, as today’s analytical tools don’t have the capability to accurately measure engagement on a single-page website. Finally, parallax web design does not work well on mobile devices, an important consideration given the explosion of mobile web surfing.